Box Notes: Welcome back summer squash! 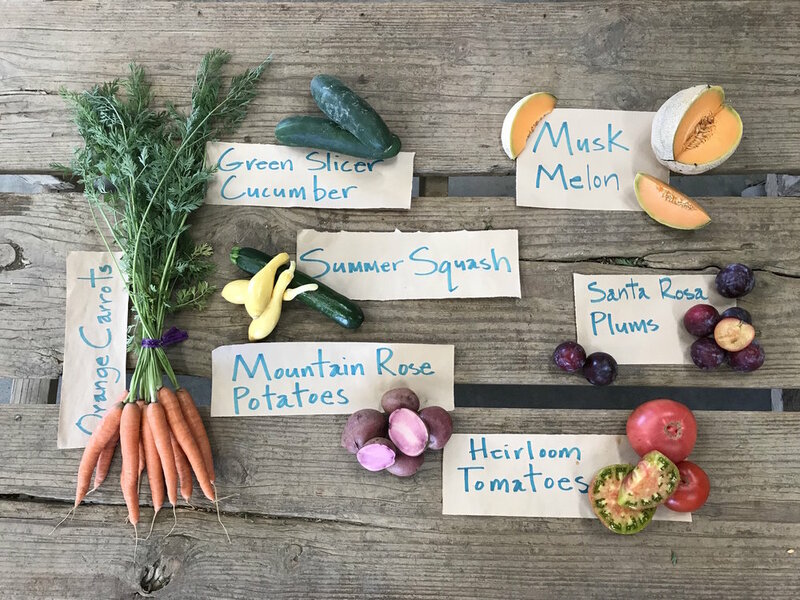 This is the first week of a steady supply of a variety of summer squash: Ronde De Nice, Zephyr, Crookneck, Costata Romanesco, as well as gold and green zucchini. This colorful array of squash is great for grilling, sautéing or eating raw as spiralized veggie noodles. The white nectarines are cosmetically challenged (the way they grew on the trees) and may have split pits, but are incredibly sweet and delicious! Since it’s warm throughout the Bay area the recipes in this week’s veggie box include some no-cook recipes. Beat the heat with chilled, shredded beet and carrot salad, cabbage coleslaw or potato salad! Field Notes: We are prepared for this week’s heat wave but it is no fun nonetheless! Our workdays will be two hours shorter than usual. We will be taking breaks more frequently and have encouraged all of our employees to stay hydrated. It is unusual for 110 degree days to last more than 4 days but that is the forecast for this week. Luckily next week will drop down to the low 90s and will provide some relief from the extreme heat of this week. Pastured sausage, bacon, ham steaks, pork cuts, and whole chickens are available. Place your order for Riverdog Farm’s pastured meats by emailing: csa@riverdogfarm.com.